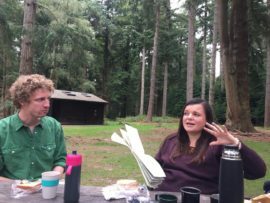 This blog reflects on my research and conversations throughout 2018 as I initiated artist peer-led research and activity in the New Forest, in the South of England. I have set up a network of activities and research under the title More Than Ponies (MTP). 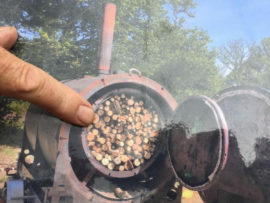 My aim is to establish the New Forest as a site for contemporary art, and explore how ethnographic and anthropological processes can be adopted as research methodologies. 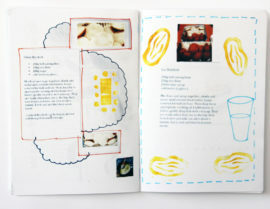 This initial work was supported by an a-n Artist Bursary. In 2017 I became a mother and also moved from London to a relatively remote area of the New Forest, in the South of England. The impact on my art practice was immense. Making art with a baby around turned out to be relatively possible, but thinking and research time became a luxury. I missed the engaged discussion and debate at my London studio building, and also missed the capital’s easy access to gallery events and talks. So, I started to explore alternative ways of developing my art research and ideas. In particular, I wanted to continue to explore in depth how people come together to perform and perpetuate cultural identities. This relates to my own art, where I have been working increasingly in recent years with anthropological and ethnographic forms of enquiry as a formal mode of exploration and forging social connections. Being awarded an a-n artist bursary allowed me to undertake an online course on Social Anthropology with Oxford University extended learning. The course explored ethnography, anthropologically, kinship, witchcraft, rituals and rites of passage, gender and identity, personhood, the anthropology of landscape, political organisation and the impact of globalisation on ethnicity. Through it, I was able to formalise my understanding of ethnographic and anthropological processes and study, which I had already been engaged with in my art practice. I learned how anthropology seeks to identify the common and the shared qualities of seemingly unrelated communities. This key characteristic in anthropology started to unlock various processes and methods in my art practice (for example informing my approach to Celebrate, a participatory project at the Whitechapel Gallery), and resonates too with where I now live. 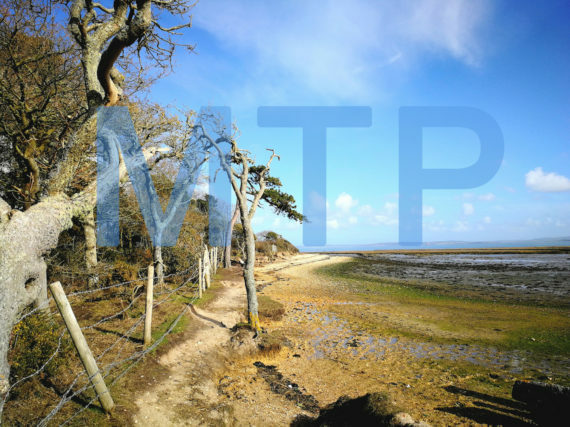 The New Forest is a complex place with multiple land managers and stakeholders (including commoners, the forestry commission, national parks authority, district councils, private landowners). The lens of anthropology has provided a great format for examining this site. 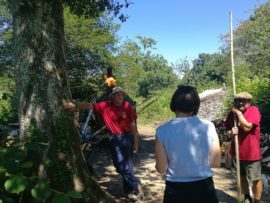 I continued to research the New Forest, traversing the land, accessing archives and meeting with relevant arts professionals and local organisations to try to identify potential opportunities. The bursary not only provided me with some resources but also a vital endorsement of my pursuits. My interest in establishing a project in New Forest grew out of my own socially engaged practice and interest in the inter-relationship of people and place. I was interested in the potential contemporary resonance of the historic New Forest and establishing a community of artists and art audiences here. The New Forest is not a rural location, but does consist of large open areas (of epic woodland and eerie heathland), and it is surprisingly accessible to major cites by rail and road. At certain times of the year it becomes highly populated by ‘people at leisure’ – generally walking or cycling (slowly!). 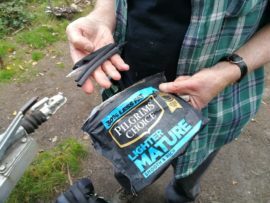 Year-round residents include those who manage the land, for example rangers, park wardens, tree specialists, forest administrators, farmers etc. There are numerous retirement homes, but also primary schools, garden centres, an FE college, forest schools, bird clubs, walking groups and even a fuchsia society. There are many contexts, histories and stories to be told about the New Forest, from witches’ covens to bomb factories. Agriculture, forestry and fishing are declining industries in the area, and food and tourism are fast growing industries. The New Forest has a myriad of stakeholders who manage and care for the land: Verderers and Agisters, the Forestry Commission, the National Parks Authority (It is the smallest National Park, but also the most visited), the local district council, private land owners and large estates such as the Montague’s of Beaulieu Estate and Roper-Curzon’s of Pylewell Park. During the initial stages of my research, I had very fruitful conversations and meetings with arts professionals. These included the artist Gordon Dalton and curator Mary Cork, with both meetings undertaken as road trips around the Forest. We navigated the varied terrain and regularly stopped to allow for the infamous roaming New Forest ponies to cross the road! Both meetings proved to be real turning points for my thinking. Gordon visited in his role of Network Manager for Visual Arts Southwest. The discussion with him was about funding in the Southwest, nearby networks and frank feedback on my initial thoughts. It was a great catalyst and invaluable in moving forward in a positive direction. With Mary we discussed comparative art projects, including Artist Placement Group (1971–89), Grizedale Arts and Groundwork, Cornwall. Her positivity and energy has lead to ongoing conversations. She has become co-curator for the project, and is now working towards curating a programme of new MTP commissions for Autumn 2019. 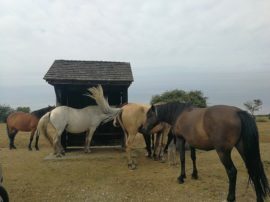 MTP (More Than Ponies) is an enquiry into the New Forest as a real and metaphorical site for idea generation and creation. Focusing on the inter-relationship of people and place, the project seeks to adopt ethnographic and anthropological processes as research methodologies and engages contemporary art making as an explorative process. 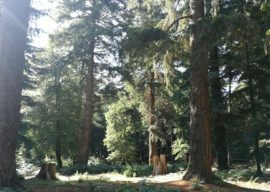 The ambition is to present an itinerant contemporary artist-led programme that invites artists and audiences to radically rethink, reimagine and reanimate the New Forest. The New Forest is a National Park, one of ‘Britain’s breathing spaces’, protected as a place of outstanding beauty and special interest. It is a highly inhabited environment with over 13 million international visitors a year, plus 35,000 residents. It is a unique place of expansive large open spaces of forestry, coast and heathland. 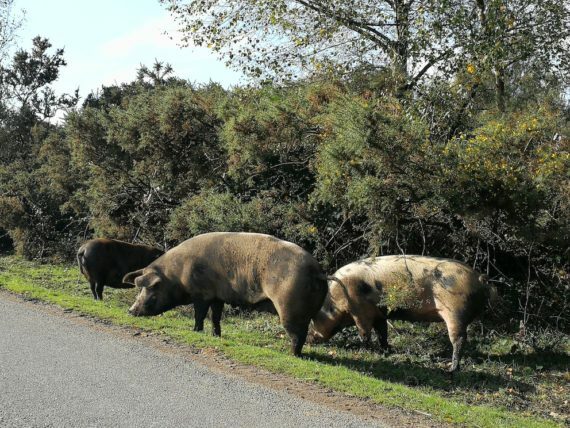 As a ‘common’ land, donkeys, pigs, cattle and New Forest ponies roam freely. 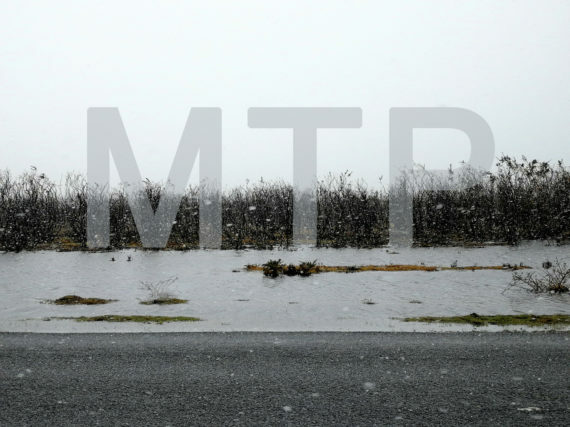 MTP is an artist-led initiative with no core funding, it is intended to be sometimes big and sometimes small. 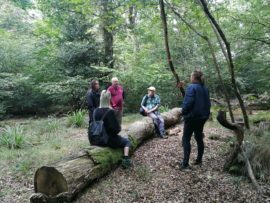 In the summer of 2018 (again thanks to the support of the bursary) I was able to invite artists on fieldtrips to the New Forest to visit areas of interest and discuss possibilities, narratives and opportunities that it prompted. 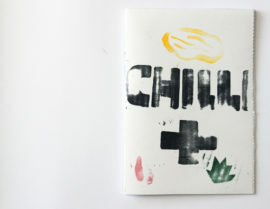 Artists who visited included Rachael Champion, Rebecca Birch, Rachel Pimm, Harry Meadows and Hannah Lees. 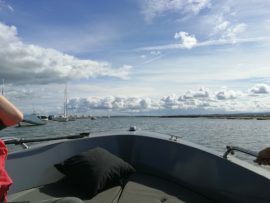 Highlights of the fieldtrips included a boat trip along the New Forest coastline; Blackwater Arboretum and witnessing a charcoal burn in the admirably community-run Pondhead Inclosure. We have also had many other conversations with artists, curators and local groups and individuals that continue to be ongoing. How does a National Park relate to issues of nationalism and belongings as we move towards a post-Brexit era? 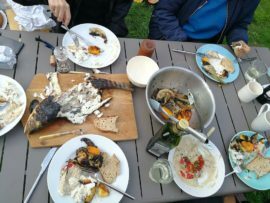 What are the possibilities of socially engaged art practice involving transient tourism communities? 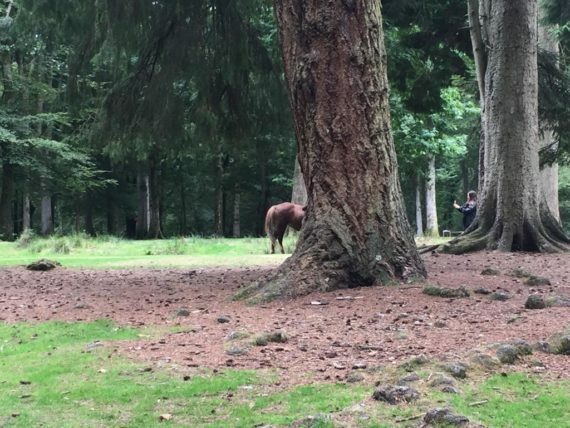 Are there alternative ways of physically navigating the terrain of the New Forest? Can biodiversity in the forest reflect and advocate for social diversity? Are there possible alternatives aesthetics to the ‘traditional’ and ‘heritage’ norms? … I am interested in responding to the management of hydrological systems in the New Forest. Human intervention is vital in maintaining the stability of these valued and rare ecosystems and role of water is paramount in executing these conservation efforts. This kind of connects with an ongoing interest in dwellings (Heidegger’s “being and dwelling” enters here) and also a sense of escapism – retreats, freedom, etc. and what these commissions are supposed to do (not that an artwork has to “do something” but ancient standing stones and cairns definitely provide a sense of “something”. 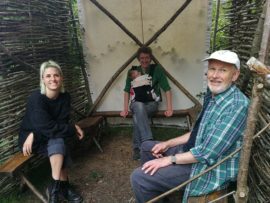 “The New Forest is a valuable site for exploring a first-hand relationship with the culture of nature rather than a conceptualised one in the abstract. This national park is a living example of how humans have constructed a leisure destination of flora and fauna that promises an antidote to urban life. Here, management of the environment for the benefit of certain animals and plants is core to the social and ecological culture. The woodland volunteers give generously of their time and expertise and speak of a strong link between ecological management and heritage. We are in conversation with the Forestry Commission and various other local communities and partners to inform our activities in 2019. We are planning and fundraising to present a series of artist-led events and performances throughout the year. Mary Cork is working on a programme of major new commissions to happen in Autumn 2019, and in the New Year we are planning to launch a collection of artist-designed merchandise that presents an alternative to traditional ‘heritage’ tourist souvenirs (as well as contributes funds to MTP programme). Watch this space!